Some figures and keychains. The Magikarp PC finger puppets is interesting, it's a little larger than bandai finger puppets. It's pretty cute. 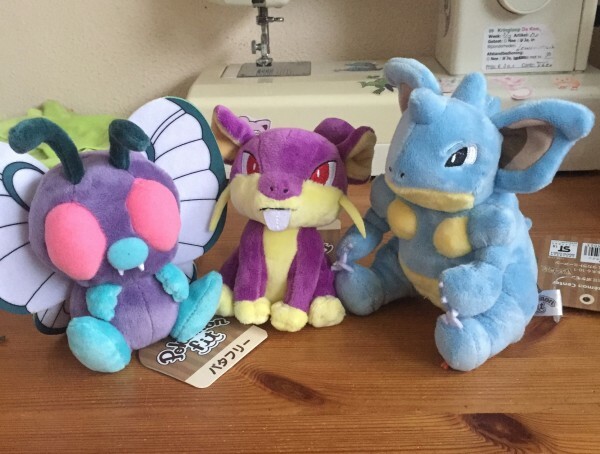 The only fit plushies I've gotten so far.. definitely still want Magikarp and Gyarados and there's a few others on my radar too, but those will have to wait. I especially LOVE the Nidoqueen, it's small but still so detailed. Very cute! 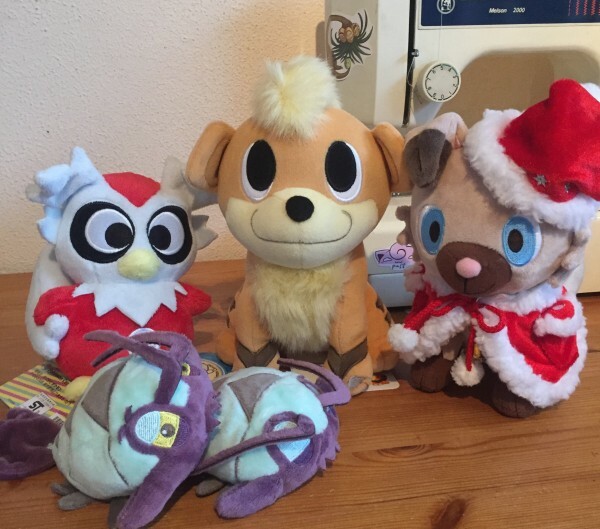 Some rare puppers, a Delibird pokedoll and Wimpod kuttari's. 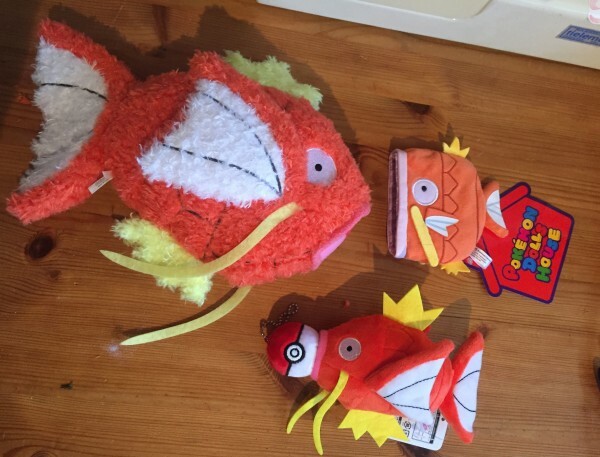 I have a soft spot for Wimpod, glad it got a plush! The Growlithe was a bit of an impulse buy but it's very cute. The Christmas Rockruff I've wanted for ages and it's SO adorable, everything I wished for. The little bell actually tolls! It's a bit smaller than I had expected but that's actually a nice surprise (I don't have too much display space left haha). Also SUPER glad to finally have the Delibird pokedoll, I missed out on a few these past few years but snagged up one on Yahoo auctions. It sooo cute (I love birds ughh, still need the Noctowl and Altaria pokedolls though). 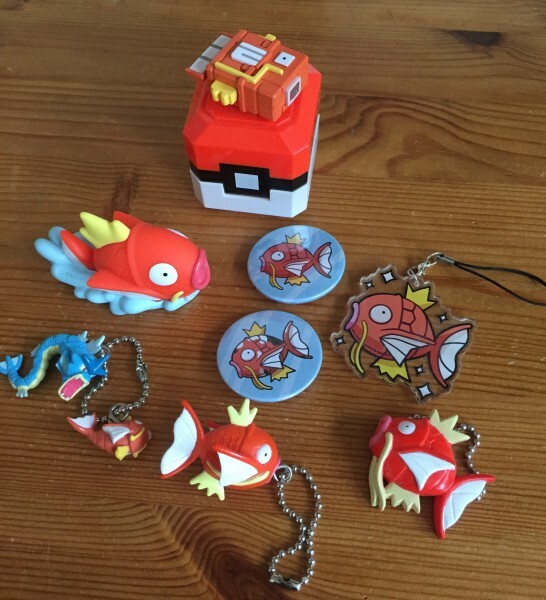 Some additions to my Magikarp collection. 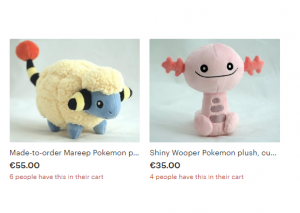 The Fuzzy plush is pretty nice, something else for a change. I wish the mouth had a different shape but ohwell. I love the sleeping bag! And I was SO glad to have found the vibrating plush, apparently it was released in Japan in October(?) last year but I didn't find out until recently and I had some trouble locating one. Couldn't find a single on Yahoo auctions or Mercari, but Amazon.jp still had it in stock thankfully! It's a cool item but the closing stitch is actually on a really stupid location (on it's forehead) and it looks a little messy. Oh well. :c It vibrates when you pull the pokeball out which is THE COOLEST thing but I try not to mess with it too much because I'm sure to break it haha (would be a shame after the trouble I went through to get it).